Editor’s note: The Tag is no longer available, and the Metromile smart driving app is now only available for pay-per-mile insurance customers. 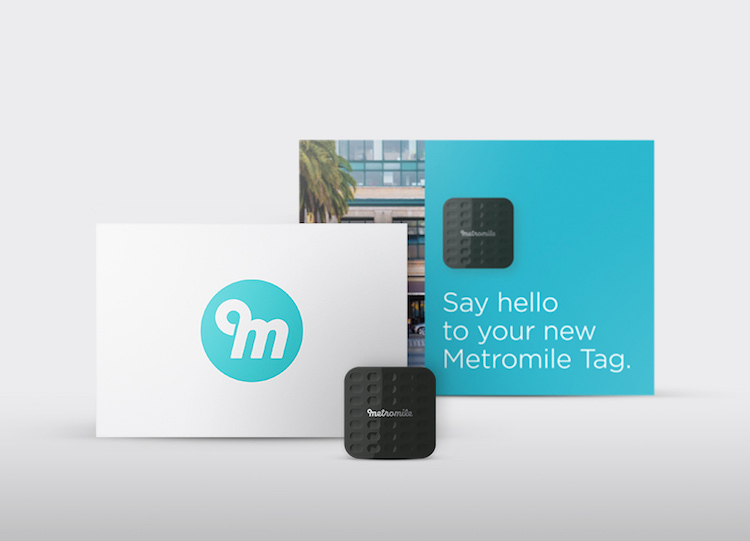 In our efforts to make car ownership as easy and affordable as possible, we are excited to introduce the Metromile Tag! While the beta is currently available in eligible states and vehicles*, it will soon become available for all cars. The Tag wirelessly connects to smartphones via iBeacon technology and can be stored conveniently in the glove box, cup holder, or center console of the car. When the Tag detects the user’s phone it will start delivering useful driving information using the exact same app as our per-mile insurance customers. Features include our street sweeping alerts (currently in San Francisco, San Diego, and Chicago), a car locator, driving stats, and more. * For those not ready for per-mile insurance, the Tag is the perfect way to take a free test drive to see how much they could save. Now everyone can have an easier time managing the daily hassles of owning a car. *Note that our car health feature will not be available for Tag users since it requires the OBD-II port. Our per-mile insurance customers will still receive the device that plugs into the OBD-II port, which we are now calling the Metromile Pulse (formerly the Metronome). Per-mile insurance customers have additional features such as the status of their car’s health, the ability to contact one of our on-staff mechanics, and even finding a stolen car. For current customers, there is no need to request a new device, but those interested in using a Tag in an another car will need to set up an additional account. To make this new launch as seamless as possible, our current app users that are not per-mile insurance customers will be grandfathered into our program and can keep their Pulse (OBD-II device formerly known as the Metronome). If anything should happen, we’ll replace it with a new Metromile Pulse if needed. We still encourage everyone to share our app with their friends, just note that moving forward they will receive the Tag instead of the Pulse. If you have additional questions about the Tag or the Pulse you can check out our FAQs. This is only the beginning – we have so many great new app features that we can’t wait to share in the coming months. Have suggestions for something that could make the app experience even more helpful? Send us a tweet @Metromile or email us at customerservice@metromile.com. I have two cars and will be buying another. I would like to get another metronome as well as the metromile tags for all three vehicles. So – the Tag, is like a fitness tracker, yes? It uses an inertial sensor to determine car’s motion, right? 1. It is obviously battery powered – how long does the battery last? And then how is is recharged or changed? 2. Since the tracker is synced with a phone, it now uses the customer’s phone time and data instead of Metromiles’ to communicate data. How much data or time per month is it going to use? Hi Jon- the Tag does not use an inertial sensor to detect motion. It uses iBeacon technology to ping our driving app and transmit data whenever you are in your car. There is actually a blog post coming later this week that explains this in greater detail! iBeacon technology is low-energy, so the battery lasts about two years. We will send you a replacement if needed. As for data, the app will use about 200MB per month for someone who commutes daily. This is the equivalent of listening to 10 hours of a streaming music service. If you still have concerns on data usage, you can turn on WiFi to lessen the data usage.